Chelsea demolished Huddersfield with 5-0 in the Stamford Bridge Stadium for their 25th week match in English Premier League. Maurizio Sarri was a happy man after the fantastic performances show by both of his strikers, Gonzalo Higuain and Eden Hazard. Both Higuain and Hazard contribute a brace for the Blues while David Luiz also make sure the scoresheet has his name on it. 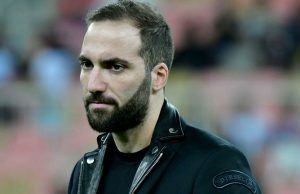 Higuain, who was recently join Chelsea from Juventus has finally showing his skills as a prolific striker. Along with Hazard infront of Chelsea leading attacker, they show a very promising potential to be as deadly as the high quality striker could offer. Sarri also convinced that the both of them will produce a lot of goals. “He (Higuain) will score a lot of goals, the same go to Eden,” Sarri said. Higuain play his first English Premier League last week when his side was beaten badly by Bounemouth. Chelsea was suffering from a humiliation from Bournemouth with 4-0. It was a painful start for Madrid ex-striker. 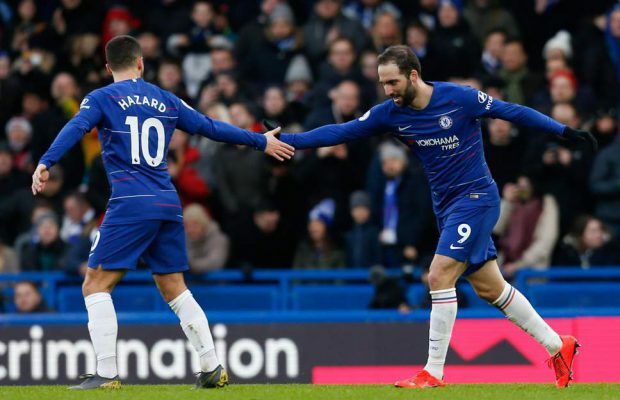 But the pain was not last long, Chelsea co. Higuan, Hazard, and the rest of the squad were able to bounce back from the painful defeat and they show that in the demolishing of Huddersfield in Stamford Bridge. “When he first joined, he (Higuain) was not at his top physical condition.” Sarri told the media. “Now, he is improving. I am very pleased. Aside from the goals, I think he really suit his tune perfectly with Eden, and they played the game like they a duo that had played along for a very long time. Sarri hopes that his Chelsea squad can be consistent, either in mentality or performances. 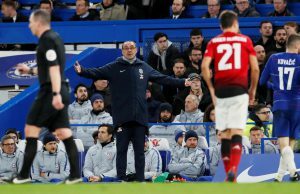 Sarri does not want to see his team need to be beaten first before they can perform well. “As I said before, we have to fix our mentality. We have to face every match with the same determination and the same motivation.” added Sarri. “We have to be better, we have to improve. We have to try hard definitely. We have to understand, that in future, we do not have to take a defeat to be motivated.